GENEVA, August 09,/ITAR-TASS/. 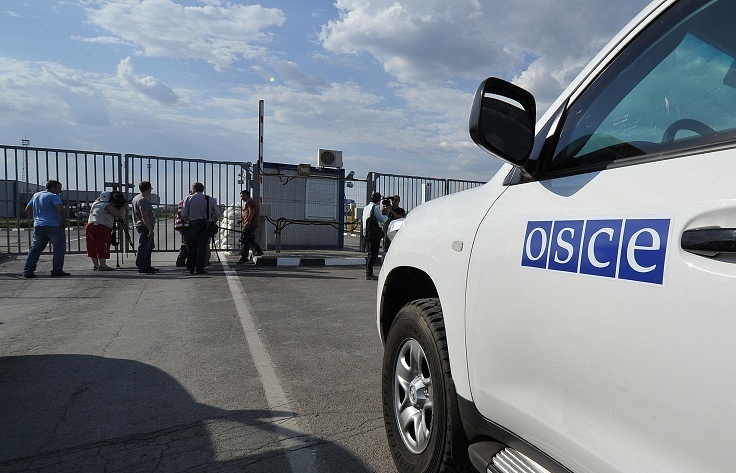 The Organisation for Security and Co-operation in Europe (OSCE) is willing to support the humanitarian efforts in Ukraine, the organisation’s Chairperson-in-Office and Swiss Foreign Minister, Didier Burkhalter said on Saturday. 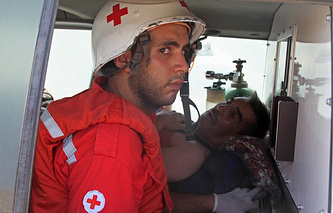 He welcomed today’s announcement by the International Committee of the Red Cross (ICRC) that it would step up activities for the affected population in deteriorating humanitarian and security environments and deploy additional teams, OSCE’s website reported. In a telephone conversation with ICRC president Peter Maurer, Burkhalter underlined that the OSCE, while not being a humanitarian organization, is willing to support and facilitate humanitarian efforts by Ukraine, the ICRC and other humanitarian agencies to the extent possible. Fully acknowledging the ICRC’s insistence that additional aid in conflict zones would imply the involvement, endorsement, and support of all parties concerned, Burkhalter said that the OSCE would only consider engaging in humanitarian assistance activities that take place with the consent of the Ukrainian government. He added that the Special Monitoring Mission is actively monitoring and registering humanitarian aspects of the crisis with a particular focus on the basic needs of persons in places affected by fighting, internally displaced persons, vulnerable groups (including minorities, women and children) and civilian victims, the statement published on the website read. While much assistance is already underway to address humanitarian needs, co-operative measures remain imperative to make sure that sufficient help reaches those who need it most in current conflict areas, Burkhalter concluded. ICRC supports the proposal by Russian Foreign Minister Sergei Lavrov to deliver humanitarian aid to southeast Ukraine, head of the ICRC delegation to Kiev Michelle Masson said on Friday. “ICRC acknowledges receipt of the offer from Russian Minister of Foreign Affairs, Sergei Lavrov, about organizing aid convoys to the affected areas in Ukraine,” the Geneva-based Red Cross said in a statement. “In the current situation, any humanitarian initiative is welcome to alleviate the suffering of civilians”, Masson said. “We are exploring the possibility of distributing additional aid in the conflict zones; this implies the involvement, endorsement, and support of all concerned parties,” he said. The Red Cross reported on Friday that armed clashes between pro-Kiev troops and self-defence militias in the Donetsk and Luhansk regions had deteriorated the humanitarian situation in southeast Ukraine as thousands of families had been forced to flee their homes. “The living conditions of the resident population are worsening also,” the statement said. ”The International Committee of the Red Cross is stepping up activities for the affected population in deteriorating humanitarian and security environments,” the statement said. “Our priority is to assist the displaced and resident people in Donbass, and to provide medical services to the wounded in all affected areas”, Masson said. “The current situation calls for a bigger effort to help the civilian population, and we are deploying additional teams in Marioupol and Starobilsk”. 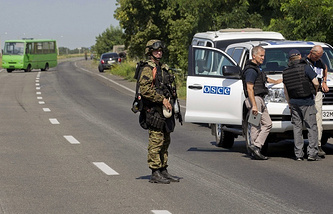 The Russian foreign minister told Itar-Tass in an interview on August 4 that he was going to send an official appeal to the OSCE, the Council of Europe, the ICRC and the United Nations with a request to organize the delivery of humanitarian aid to southeast Ukraine. “We are urging them to organize an international humanitarian mission to dispatch aid to Luhansk and Donetsk and the populated localities around those mega cities under the Red Cross aegis,” Lavrov said. Almost 850,000 people have been forced to flee their homes since the start of Kiev’s military operation in the country’s southeast, of whom 730,000 have found shelter in Russia, according to data reported by the Office of the UN High Commissioner for Refugees.